Relocating from another city to Texas can be challenging  especially when your move means finding competent childcare, nanny or babysitting services. Dallas, Ft. Worth, Grapevine, Southlake and Arlington are among the areas many respected suburbs. To help you find out more about the Dallas/Ft. Worth area and childcare, we have compiled some resources that may be of interest. They include city information, education and childcare resources, legal forms and more. A critical question often asked by both our Nannies and Families revolves around taxes. Who do we pay? How much do we pay? What are the benefits at tax time and how much can we deduct? Taxes can e complicated, however our partners at GTM make it simple and seamless. 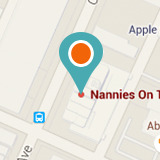 At Nannies On the Go, our goal is to compassionately help you make decisions about your familys well being. We hope these resources help! Payroll & tax services for household employers from the leading household payroll service in the US. To pay your employee the easy way, contact GTM for a free tax consultation.